Poor condition. 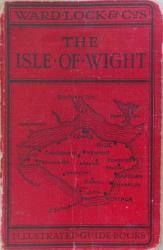 1939 Twenty-third edition, revised. Rear board is missing. Front board is attached, but weakly. A one inch portion of spine top missing (please see photos). 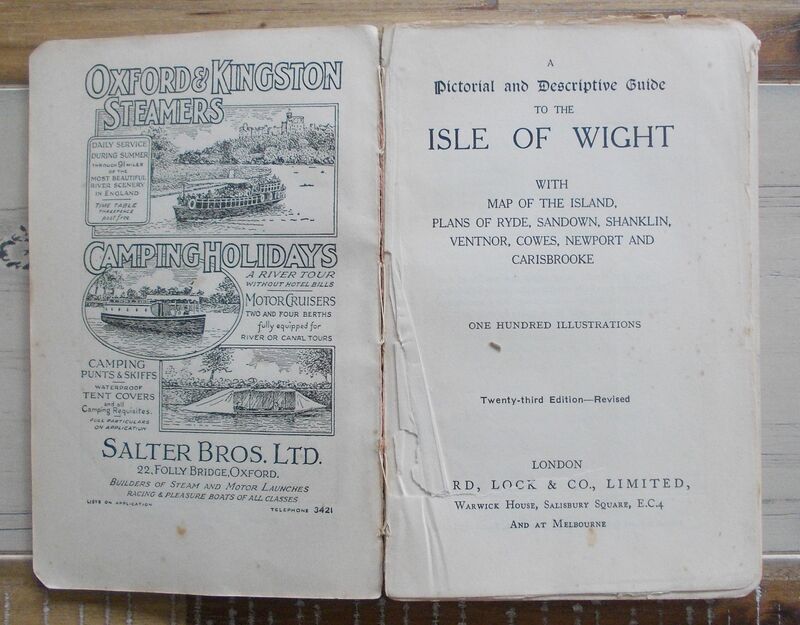 Foldout maps of Ryde, Sandown, Shanklin, Ventnor, Cowes are included. 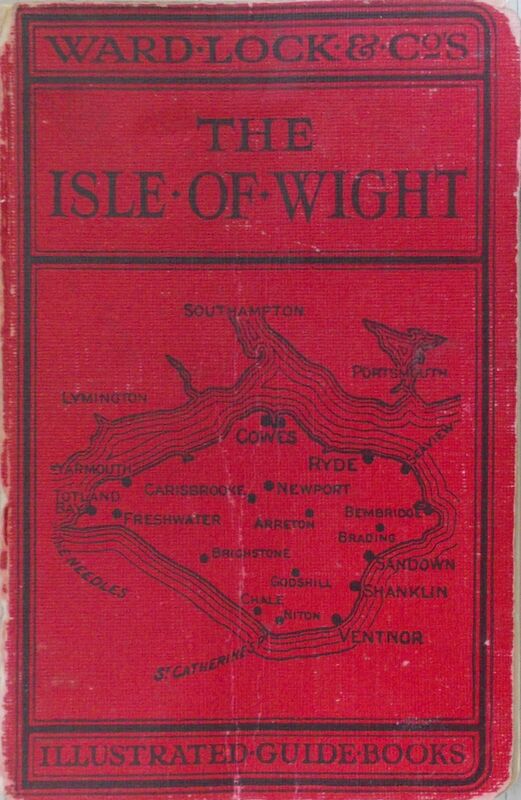 No maps to Newport or Carisbrooke however. Tearing of Title page along gutter. Pages browned with age. 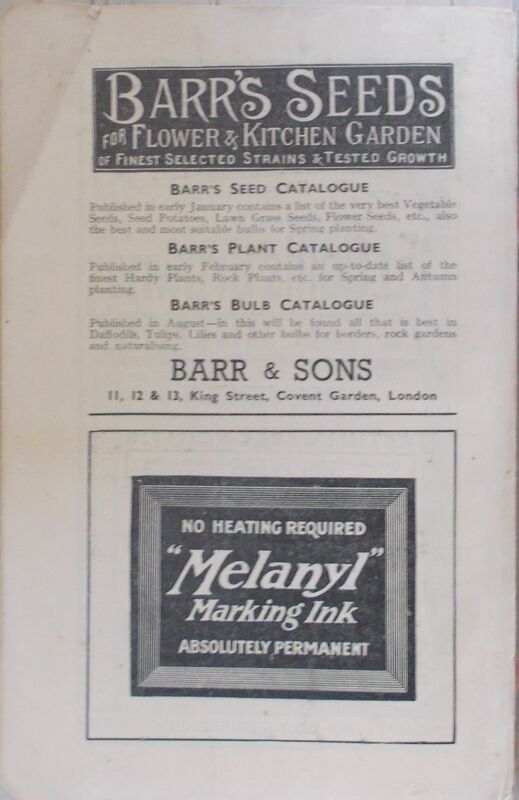 Writing in pencil at top of first advertisement page. Some foxing scattered throughout.